Of all the factors I’ve discussed on this blog, one of the most important variables involved in gut health is something called the enterohepatic circulation. The enterohepatic circulation more or less functions as a detoxification loop between the gut and liver. As toxins enter your gut, some are detoxified by cells of the gut wall while some cross in to the portal vein and make their way to the liver for further processing. They are then incorporated in to bile, stored in the gallbladder, and excreted back in to the gut where they can be sent out of the body. For further reading on this, check out this blog. The enterohepatic circulation is important for a couple of reasons. As you can probably guess from the above, it’s critically important for proper detoxification. A second function is that it helps you absorb fat and fat soluble nutrients. A final and less covered function of the enterohepatic circulation is that it helps set the microbiome. The enterohepatic circulation is ongoing. Bile acids and the contents of bile circulate in the gut 7-10 times a day. Because of constant exposure to the contents of bile, the microbiome is heavily influenced by it. Under ideal conditions, bile is secreted in to the duodenum and gets propelled through the gut via persitalsis. All along the way, bile emulsifies fats and fat soluble vitamins allowing you to absorb them more efficiently. By the end of the small intestine, the vast majority of bile acids have been reabsorbed and the toxins get dumped in to the colon. The bile acids make their way back to the liver for recycling. All in all, 95% of bile acids are recycled every day, only 5% are lost in feces. One of the key aspects of bile acids is that they are antimicrobial. This keeps bacterial numbers in the small intestine low in relation to the colon/large intestine. But it gets even better. While bile acids are antimicrobial, commensal bacteria that have evolved with us for millenia tend to have bile resistant traits that allow them to colonize our gut. Lactobacilli and bifidobacteria are among the many commensal bacteria that are bile resistant. Being bile resistant gives commensal bacteria a leg up against pathogens. This means that having proper bile flow promotes a healthier microbiome. Of course, commensals can be problematic if they overgrow. Bile can help out in that regard as well. As bile acids make their way through the small intestine, some get passively reabsorbed along the way but most make it all the way to the ileum, the final part of the small intestine. There, they bind to bile receptors that send them back to the liver via the portal vein to be recycled. The ileum also happens to be the area of the small intestine ripe for small intestinal bacterial overgrowth(SIBO). While commensal bacteria should be in the small intestine, numbers should be very low in relation to the cecum, the first part of the colon. 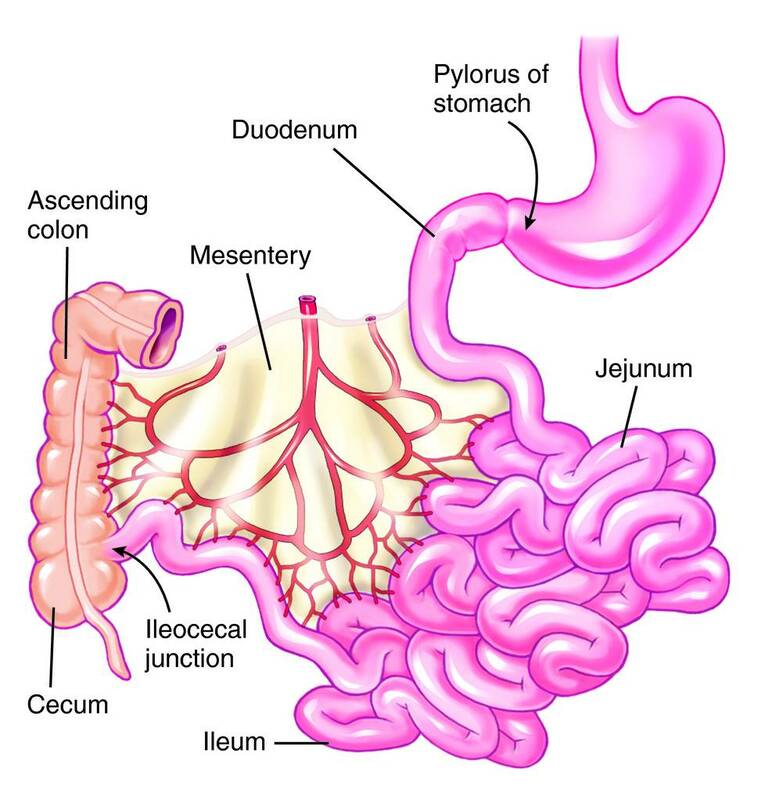 Since the ileum and cecum are adjacent to one another, it’s easier for bacteria to overgrow from the cecum to the ileum. Fortunately, we have ways to prevent this. First, there’s a muscle called the ileocecal valve which closes off the small intestine to backflow of colonic bacteria. Second, bile acids have a strong effect in the ileum. When bile acids bind to bile receptors, it causes the secretion of antimicrobial peptides. These antimicrobial peptides keep bacterial growth in the ileum to a minimum, even the good guys. Keep in mind, there’s always going to be bacteria in your gut, good and bad. It’s an ecosystem teeming with competition, there’s no way around it. The best thing you can do is make sure the environment promotes the good guys, blocks the bad guys, and prevents both from overgrowing. Endotoxin is a component of the cell wall of gram-negative bacteria. It will always be in your gut, there’s no way around it. Every day you consume substantial amounts of it and every day your gut and liver process it. This is good because if substantial amounts of endotoxin enter the general circulation it disrupts many processes. This includes blood glucose regulation, the immune system, as well as brain function. For more on this, check out this blog on why you should pay attention to endotoxin. The thing with endoxotin is that it’s always there. Heating doesn’t get rid of it and even dead bacteria still contain it. When cells of the immune system called macrophages engulf gram-negative bacteria, endotoxin is released and causes the macrophage to induce inflammation. Since endotoxin causes a massive immune reaction, it’s important to have a way to neutralize it so that it becomes inert. Luckily we have ways to do this and the enterohepatic circulation is intimately involved in this entire process. When bile circulates via the enterohepatic circulation, it breaks up some of the endotoxin rendering it harmless(1). The endotoxin that remains gets taken up by chylomicrons and transported to the liver for processing. Once processed, it gets dumped back in to the gut via the bile(2). Bile also prevents endotoxin from entering the bloodstream by decreasing intestinal permeability(3). This helps make sure it gets sent packing out the back door. One of the keys to this process is an enzyme called alkaline phosphatase. Both the intestine and liver contain the enzyme and it has a transformational effect on endotoxin. 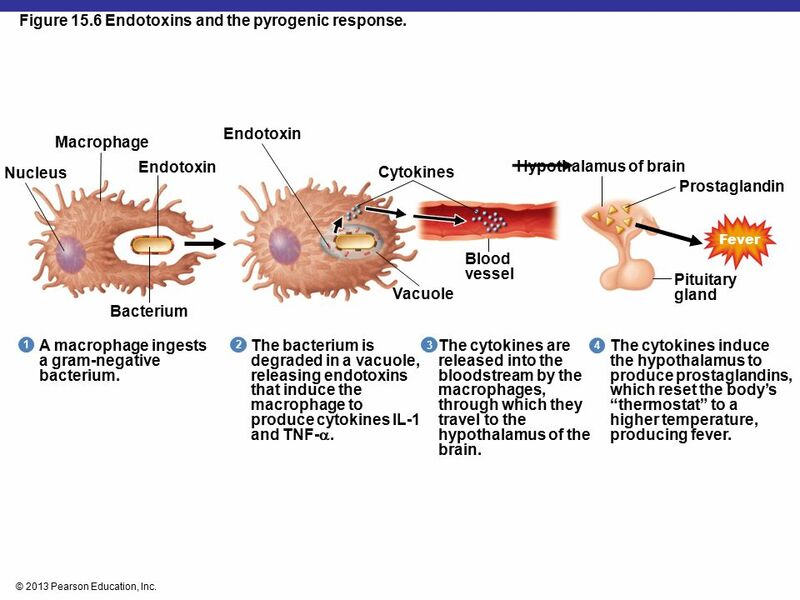 By changing the chemical structure of endotoxin, alkaline phosphatase prevents the immune system from recognizing it. The highly inflammatory molecule becomes inert. To recap this whole process, bacteria that contain endotoxin can be circulated between the intestine and liver via the enterohepatic circulation and acted on by alkaline phosphatase and bile acids. Bile can also break apart endotoxin and prevent it from leaking from the gut in to the blood. This decreases the overall inflammatory burden caused by endotoxin. For more on this, check pout this blog. There are 2 obvious ways to manipulate endotoxin in the gut. First, you can decrease its presence there. Second, you can enhance the expression of alkaline phosphatase and improve bile flow to reduce the impact of endotoxin on the immune system. Either way, a tame immune system is a happy immune system. A logical approach obviously includes manipulating both factors, but the order in which you do it matters. The most effective approach involves decreasing the amount of endotoxin in the gut first because it doesn’t require increasing enzyme output to do so. There may be a limit to the amount of endotoxin you can detoxify with alkaline phosphatase because alkaline phosphatase has other functions. This includes regulating the pH in the duodenum and also directly regulating the microbiome. There’s also a limit to how much alkaline phosphatase you can synthesize and secrete. Getting the amount of endotoxin in your gut to a manageable level is a critical first step to make sure you don’t exceed that amount. But how do you do this? The answer is simple but the process is complex. There’s also a few different ways you can do it. In my next blog we’ll cover this first step in depth. I’m currently working with a nutritionist by the name of Karen Hurd out of Wisconsin who created something she calls The Bean Diet, which is a diet created to target bile. By consuming 3 TBS to 1/2 cup of beans or legumes six times daily, Ms. Hurd believes the toxic bile we have in our enterohepatic circulation will “bind” with the soluble fiber in beans and be slowly removed from the circulation, replaced with fresh new bile. Apparently, this method has been quite successful in treating many other patients. I’ve only been doing this protocol for about 3-4 weeks and the recommended duration is 6-10 weeks so, I have yet to notice any substantial improvements. Ms. Hurd also has interesting protocols for treating inflammation. Hi Juliet — I would love to read the journal article on this topic as well. The link you posted doesn’t seem to work for me — would you happen to have the title of the article so that I could look it up? Thanks so much! Wow, so interesting and relevant to my situation. Ten years ago I come down with acute idiopathic pancreatitis. So the docs remove my gallbladder, no help. Then they ablate my sphincter of Oddi, no help. Then they ablate my pancreatic sphincter, no help. Eventually lesions show in the tail of the pancreas and a distal pancreatectomy/splenectomy cures the pancreatitis. Pathology shows IPMNs – precursor to adenocarcinoma. I imagine I have bile flowing 24/7 as evidenced by a low ESR and hsCRP. However I’m now dealing with gastritis and IBS probably due to bile reflux and flow during sleep. Thanks. Sounds crappy, glad my blog could be of some assistance. Great information! Thank you! Could you comment on how this process is effected when one has had their gallbladder removed? Hey Mary Anne, I hope to dig in to that soon but need to familiarize myself with that first. Stay Tuned!